Insulet Corporation is a privately-held company that has been in business since 2000. With the advice of diabetes patients, educators, and physicians, Insulet Corporation has developed a new solution to assist in diabetics efforts to live a healthier life. The OmniPod™ Insulin Management System has been specifically designed to make living with diabetes easier than ever by bringing together the proven healthcare benefits of continuous subcutaneous insulin delivery with FreeStyle® blood glucose monitoring technology in a safe, convenient, and discreet two-part system. 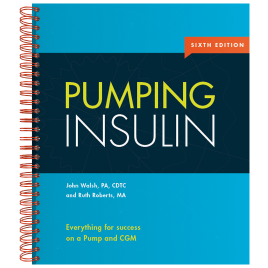 This innovative two-part system eliminates the need for daily insulin injections, does not require you to be tethered to a conventional insulin pump via tubing, and makes intensive insulin therapy easier than ever. It also enables you to check your blood glucose level with FreeStyle blood glucose test strips, but without carrying a separate blood glucose meter. The OmniPod is a small lightweight device that is worn on the skin like an infusion set. It delivers insulin according to pre-programmed instructions transmitted wirelessly from the Personal Diabetes Manager(PDM). 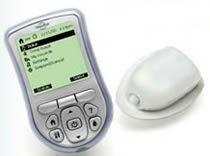 The PDM is a wireless, hand-held device that is used to program the OmniPod with customized insulin delivery instructions, monitor the operation of the OmniPod, and check blood glucose levels using FreeStyle blood glucose test strips. There is no tubing connecting the OmniPod to the PDM. The OmniPod is worn comfortably and discreetly beneath the clothing, and the PDM can be carried separately in a backpack, briefcase, or purse. Similar to currently available insulin pumps, the OmniPod Insulin Management System features fully programmable continuous subcutaneous insulin delivery with multiple basal rates and bolus options, suggested bolus calculations, safety checks and alarm features. Insulet currently has plans to release a new, smaller, and lighter pod with all the same specifications in 2012. They have also been working with Dexcom to integrate their continuous glucose monitoring system, but it has not been moving along too well. The integration has been pushed back to 2013 but reasons for the delay have not been easy to get a handle on. Each company states reasons that lay the blame on the other so we'll have to wait till they get things sorted out. OmniPod: 1.6 in. x 2.4 in. x 0.7 in. PDM: 2.5 in. x 4.5 in. x 1.0 in. PDM: 1.75 in. x 1.75 in. 0.05 U/hr. increments, up to 30 U/hr. Each OmniPod features an integrated angled infusion set with automated cannula insertion and no tubing.